We have preserved many ancient Croatian pastry recipes, (many made originally for royalty) along with the rich histories behind them, to bring you the tantalizingly delicious, finest, Organic pastries and cookies ever! Our Mission is to create the most delicious 100% Organic Croatian pastries that will provide you with the sweetest compliment for all of life's special celebrations. Whether you are celebrating a birthday, anniversary, shower, wedding, graduation, family reunion, or just a fabulous finish to a delicious meal, the Kraina Family celebrates with you, all that is good in life! From our family to yours, with love! During the time when the Habsburg Dynasty ruled over the kingdoms of Croatia, Slovenia, and Austria, King Frans Joseph I (1848-1916), a king with a penchant for sweets wanted a special cookie-like pastry made for his birthday. Bakers far and wide prepared their finest pastries for the king to sample. 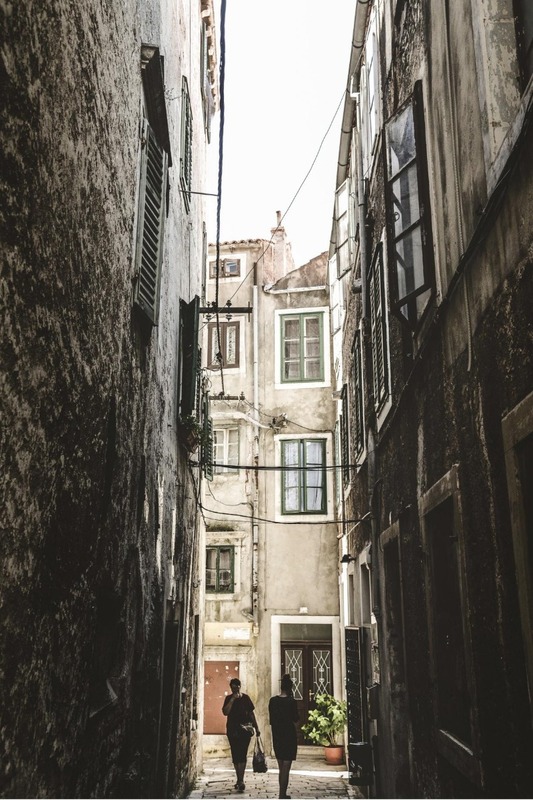 One day, as the king's administrator happened to pass by the Pezic Bakery, owned by my great grandmother, Zenia Pezic, he smelled the incredible aroma of her finest pastries and asked the humble, young peasant woman, Zenia, if he could taste them. When he tasted her pastries, he knew this was the perfect pastry for the king’s birthday. 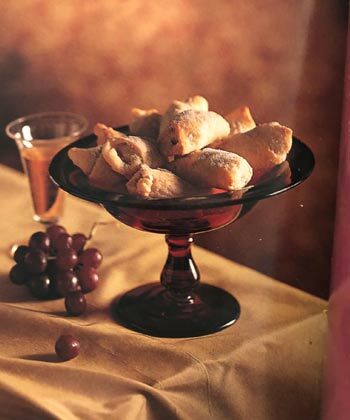 He hurried Zenia to the palace and as she presented her pastries to the king, he was so delighted with her Orah Kolaci (Walnut Pastry), that he made it the official pastry of royalty. She also created a similar recipe, Orhenjaca (Walnut Roll) and it was sent with the soldiers of the Habsburg Dynasty on their many campaigns. They carried this scrumptious, creamy, walnut-filled sweet roll wherever they traveled, making it the favorite dessert throughout the empire. Zenia taught her daughter, Anna, how to create all of her delicious, historic pastries. When Anna immigrated to America in 1895 to marry Joseph Krajina of Krajina, Croatia, she continued the legacy of making her mother’s historic pastries. Grandma Anna taught me how to make these exquisite desserts, and I've been making them since I was a child. Throughout my life, I made these pastries and gave them away to family and friends during the Thanksgiving and Christmas holidays every year. A neighbor suggested I market the pastries. 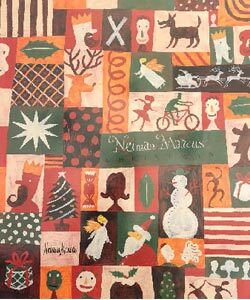 One day, I noticed a Neiman Marcus Christmas Catalogue on a coffee table at a bank. As I leafed through the pages and saw the exquisite desserts offered, I knew this was where I needed to sell my pastries. During finals week at college, the Lord told me to send the pastries to Neiman Marcus. So, off they went. The buyers at Neiman Marcus asked for more, and again for more, and again for more. I called Ken, the buyer and asked what they were doing with the pastries. He said, "My gosh! We're eating them! I am Croatian, and my grandmother used to make a pastry like this, but not as good! They are the best pastries in the world!." And so they offered my pastries in their Christmas Epicure Catalogues. Today, the Kraina Family, offers to you, our delicious, ancient Croatian pastries with 100% Organic ingredients for your enjoyment. These pastries have been with our family for hundreds of years and have been the perfect compliment to every major family event. At Christmas, Thanksgiving, New Years, birthdays, anniversaries, baptisms, showers, and funerals, these pastries have been with every generation of our family. We pray they will become a part of your family's history as well! "I honestly didn't believe that anyone could say this is, 'the best cookie in the world' . . . until I tasted Kraina Pastries Orah Kolaci (Walnut Pastry)! I have to shout, "This is the best pastry in the world!"